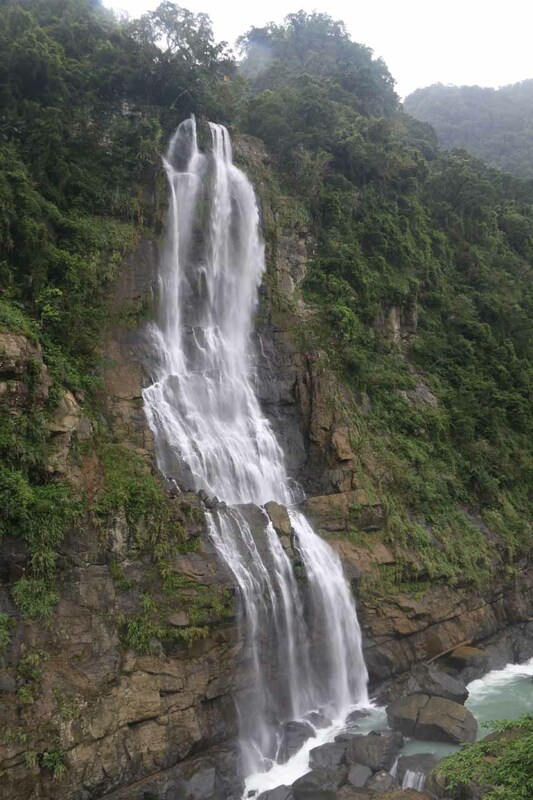 The Wulai Waterfall (烏來瀑布 [Wūlái Pùbù]) was possibly the best known waterfall in Taiwan besides the Shifen Waterfall. 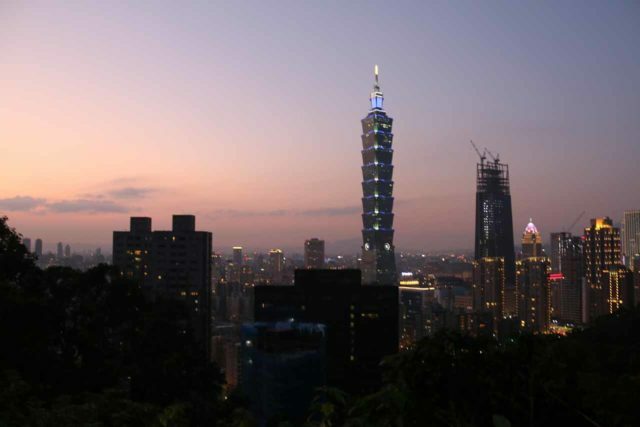 I suspect the reason for this was its relative close proximity to Taiwan’s capital city of Taipei. 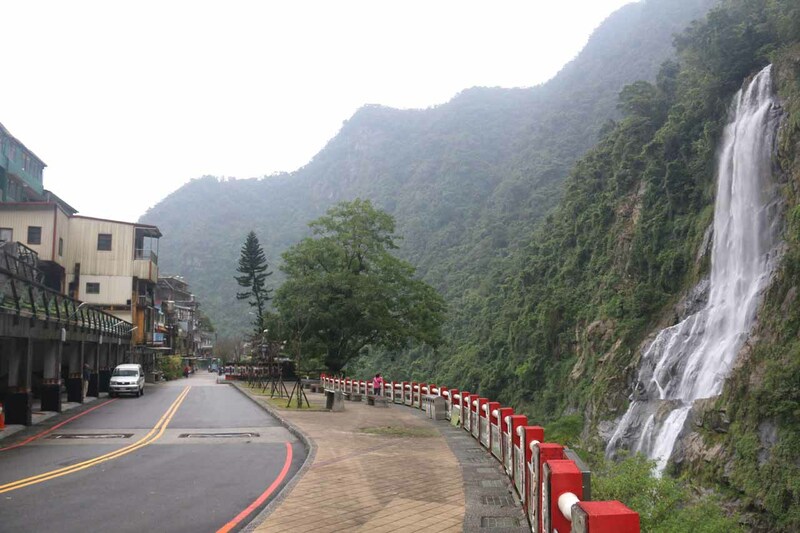 There was pretty good reason for this popularity as you can see from the photo above as the waterfall featured an 80m drop right across from the Atayal aboriginal-themed town of Wulai. 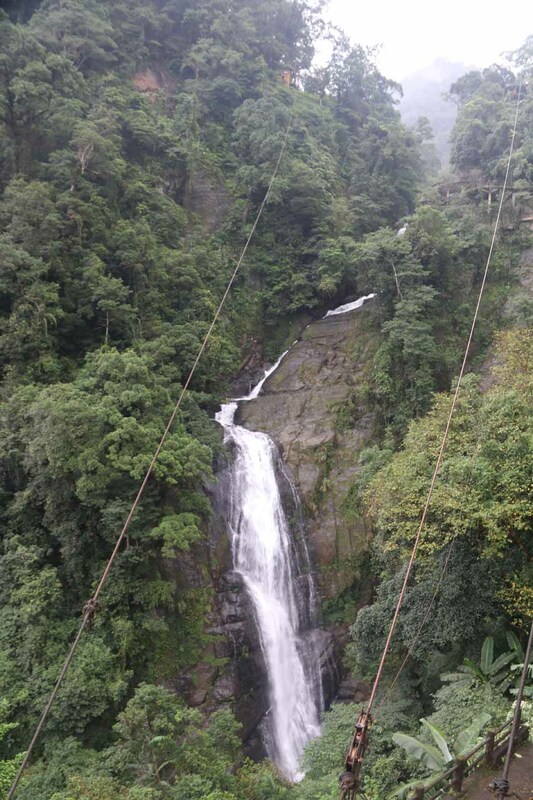 While the main drop was the easiest to see, there were actually more hidden cascades and waterfalls further upstream from the valley comprising the overall Wulai Waterfalls. 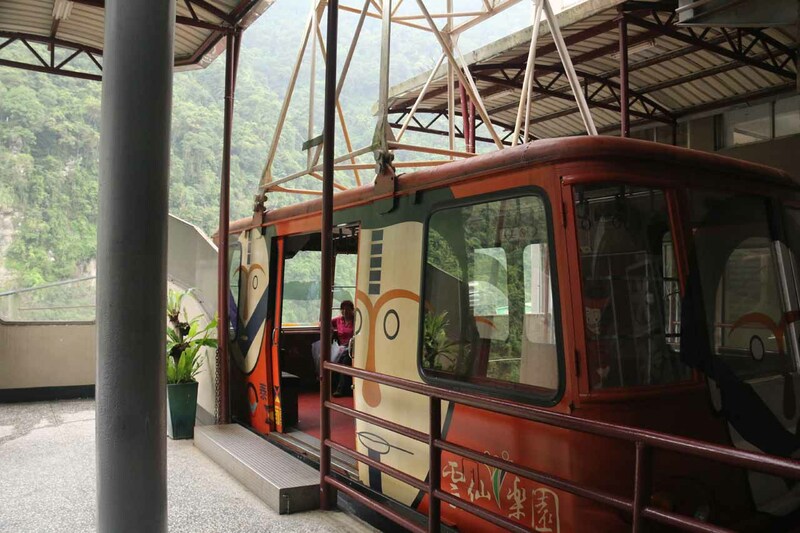 Those were only visible by cable car. 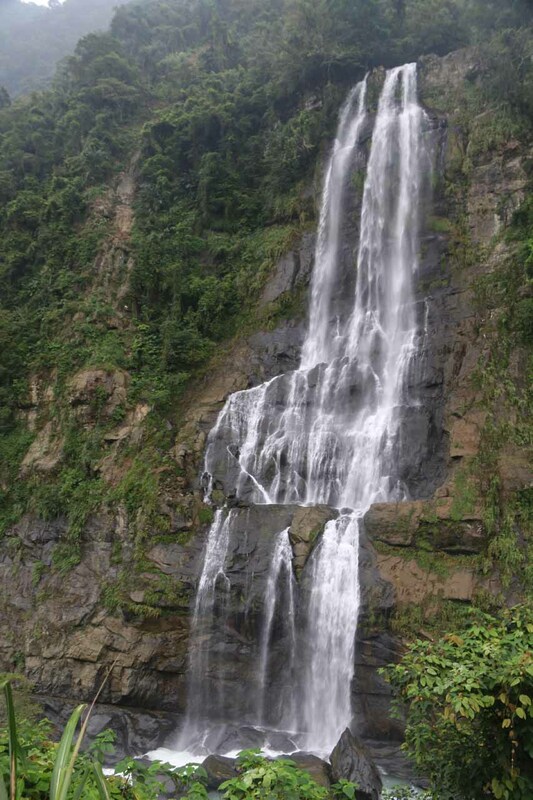 So technically speaking, the overall Wulai Waterfall could very well be a much taller drop if you count these other cascades and waterfalls. 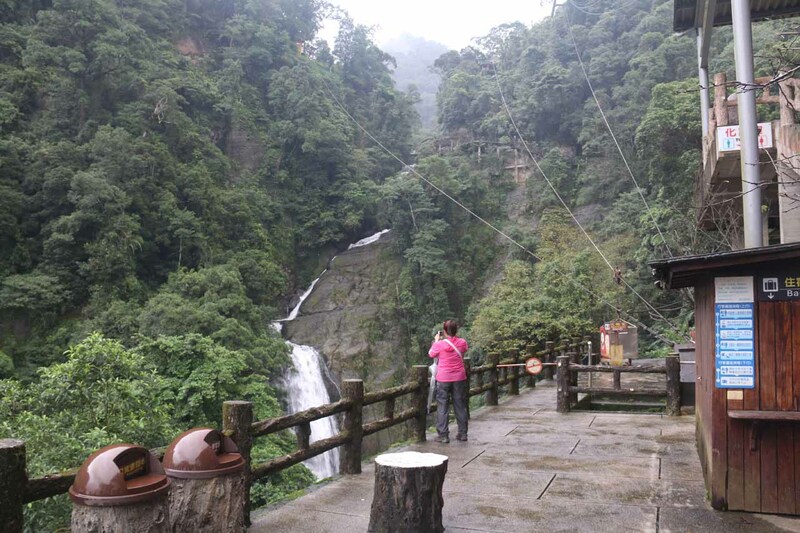 Once we made it to the town of Wulai, it was pretty straightforward to see the waterfall as it was pretty much right across the Nanshi Creek (南勢溪 [Nánshì Xī]), which was the main watercourse cutting right through the Wulai Valley. 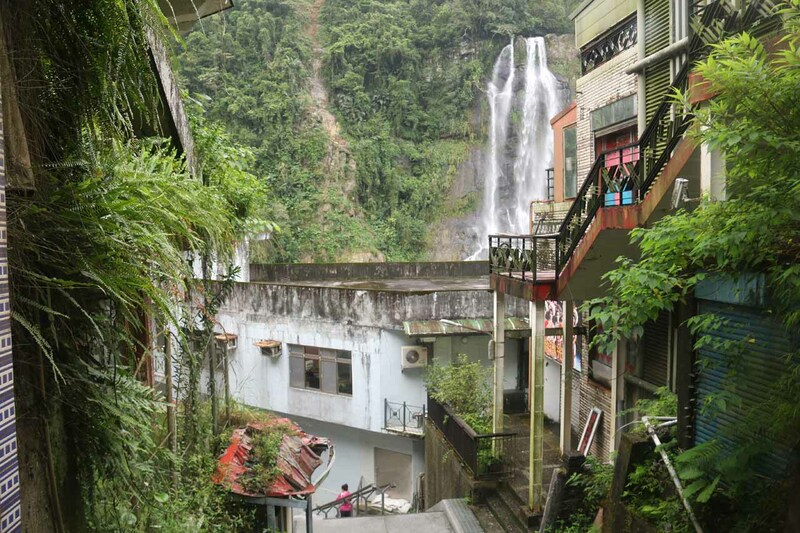 This creek eventually joined up with other tributaries as the Xindian Creek (新店溪 [Xīndiàn Xī]) cutting through Taipei. There appeared to be three main levels of the town. 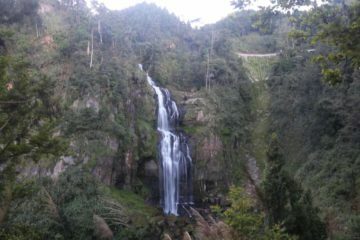 The lowest level was where there were lookout areas peering right at the waterfall. 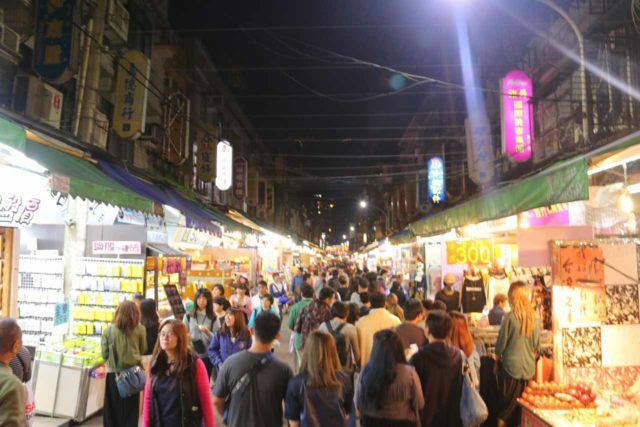 Down here were also a lot of cafes and shops as well as a toilet facility. 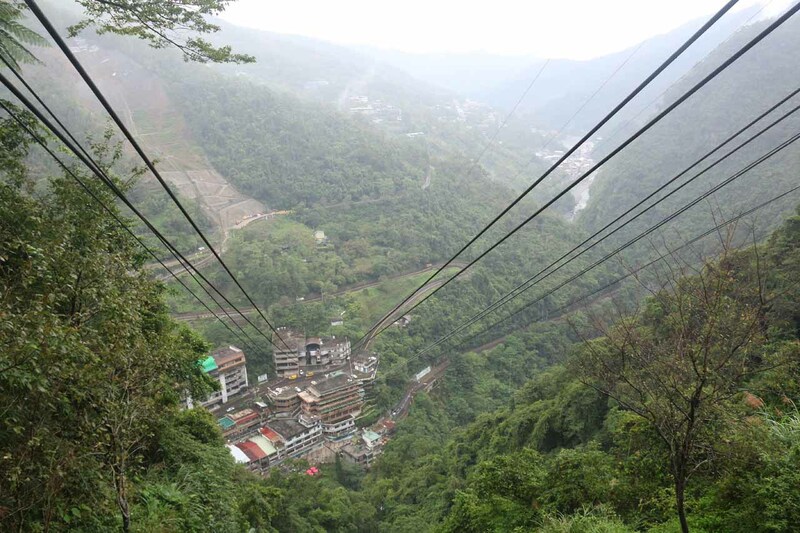 Further up towards the uppermost level was where we caught the cable car leading up to the tops of the neighboring cliffs. 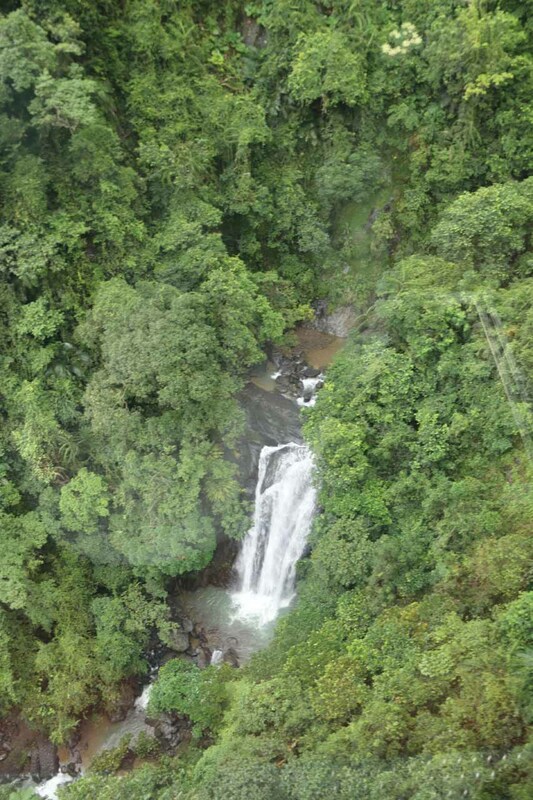 As mentioned earlier, during the cable car ride up, we were able to look down at some hidden cascades and waterfalls. 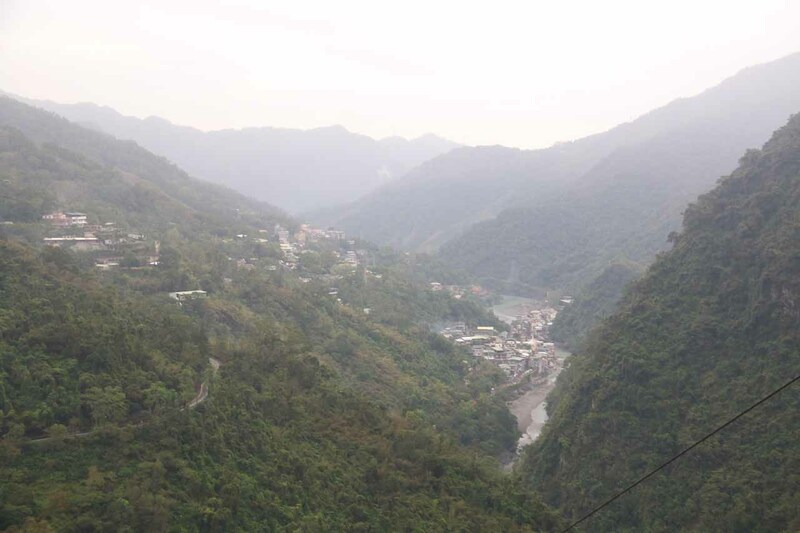 Once we made it to the top, there appeared to be a restaurant and accommodation up here as well as birdseye views back down towards the Wulai Township as well as the scenery further down the valley. 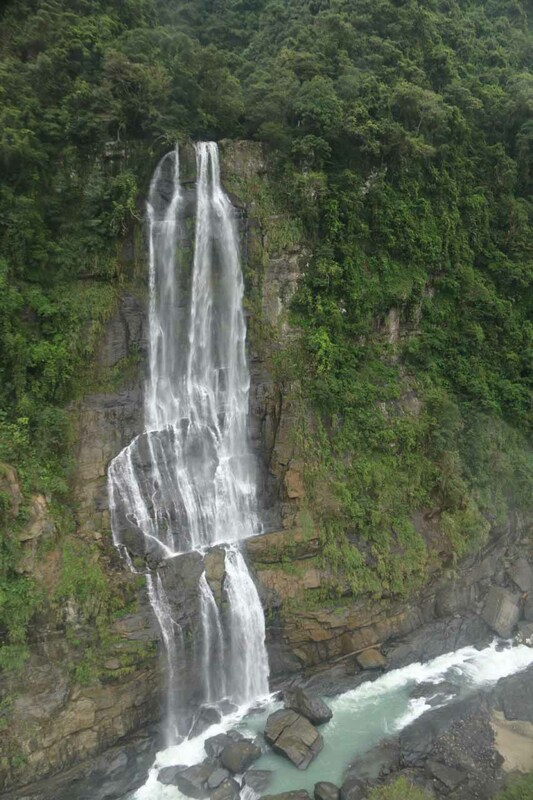 We also saw that there were yet more cascades tumbling towards the main drop of the Wulai Waterfall. 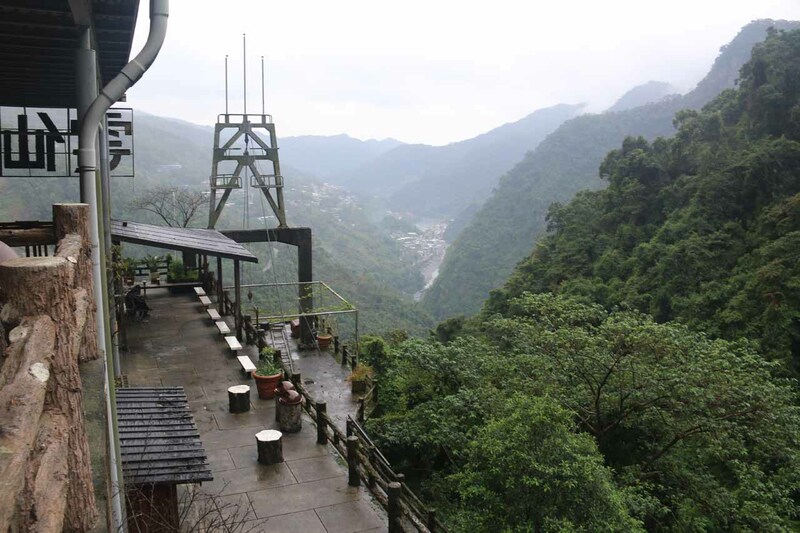 Moreover, we also gained a new appreciation for the power of Mother Nature when it came to the landslides that would occasionally cut off Wulai from Taipei as we were able to see the extent of the scarring done to the mountain’s slope given this commanding view. Even though experiencing this waterfall didn’t require a hike nor did it require the cable car, we wound up spending nearly 90 minutes here, which did include some relaxing walks around town as well as the cable car return trip itself (which strangely required us to do more waiting than moving on the rainy day that we visited). 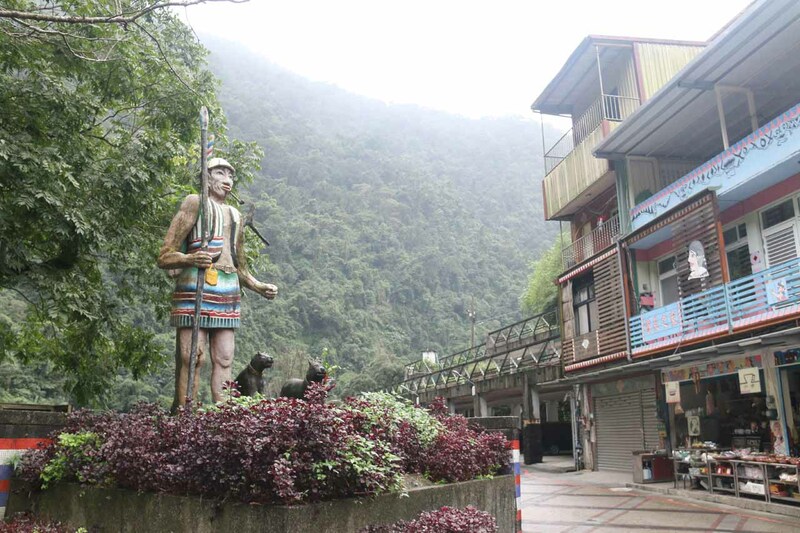 The way we did this drive from Taipei City area was to head west on the National Expressway 3 from say its interchange with the 3甲 Expressway (the character is pronounced “jiǎ”) until its exit near Bitan (碧潭 [Bìtán]) some 5km later (there were signs for Wulai or 烏來 [Wūlái] at this point). 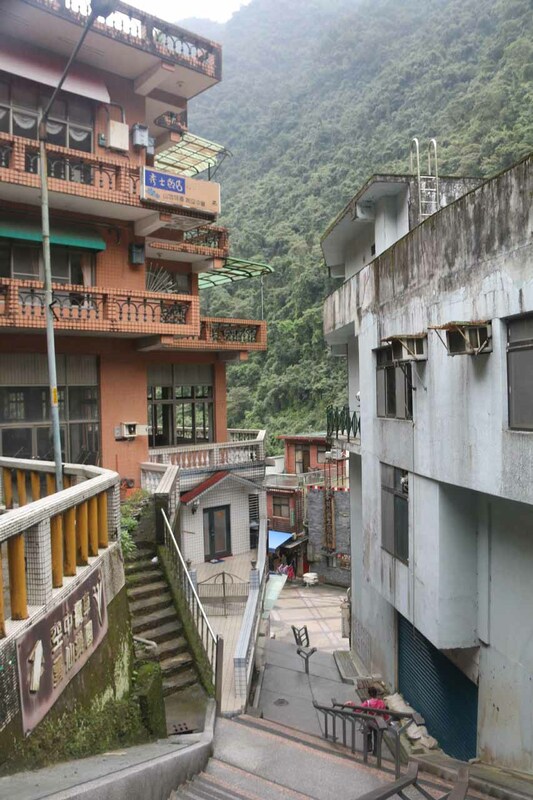 After taking this exit, we then headed south on the Zhongxing Road Section 1 (中興路一段 [Zhōngxīng Lù yī duàn]) some 2km or so before keeping left to go south along the Tai-9 route. 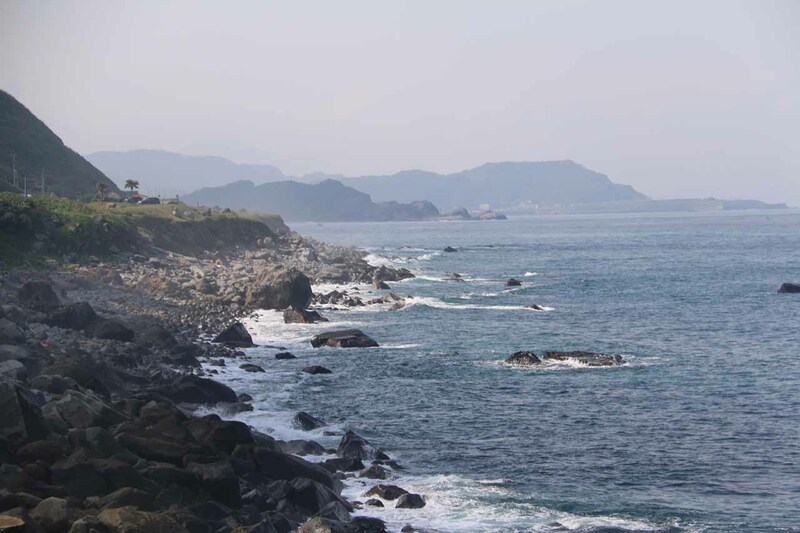 We then followed the Tai-9 route for about 1.3km before turning right onto the Tai 9甲. 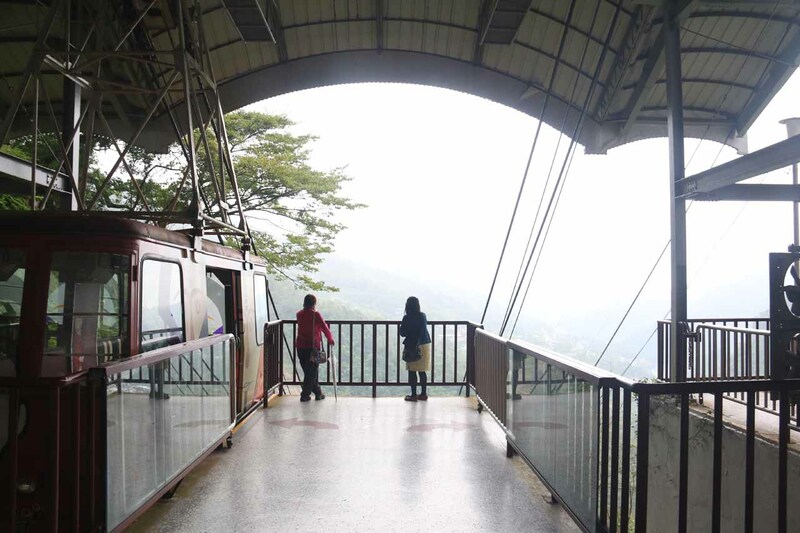 We’d continue on the 9甲 for about 13km before turning right and crossing the bridge onto the Huanshan Road (北107; 環山路 [Huánshān Lù]). 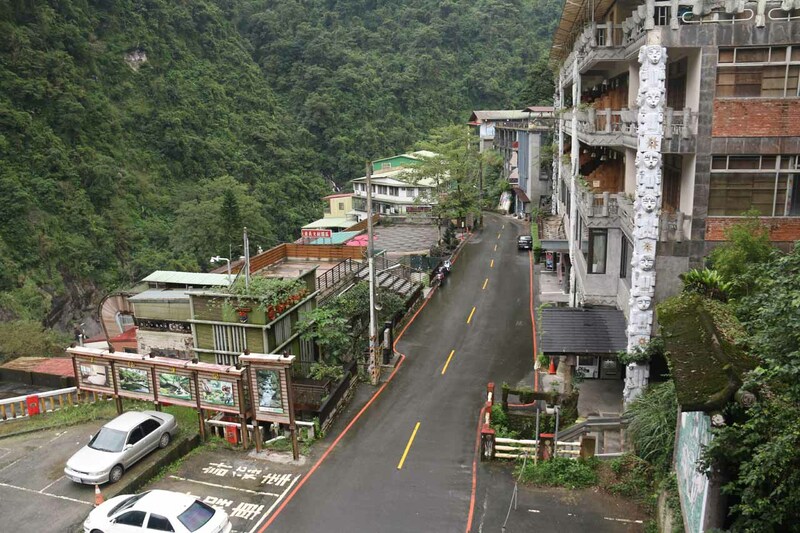 After following this road for the next 3km, we finally made it to Wulai, where we managed to find some parking near the cable car station. 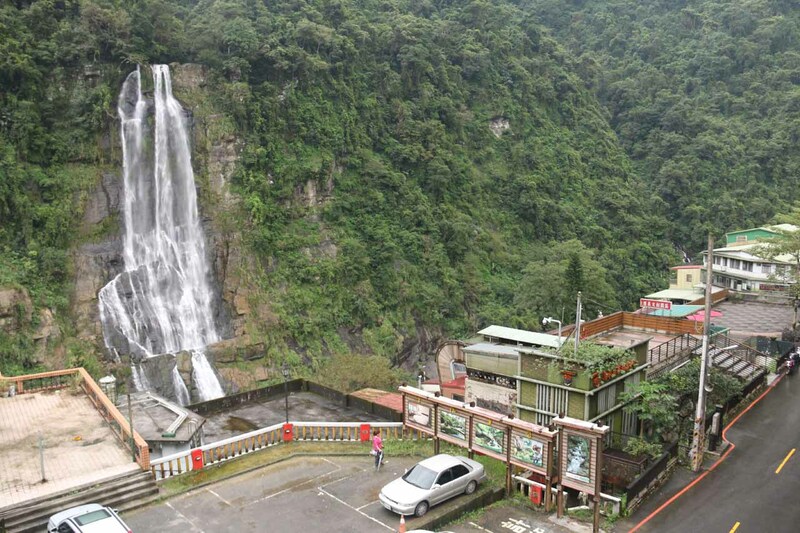 Overall, this drive of about 27km from the 3甲 Expressway to the Wulai Town took us about 45 minutes. 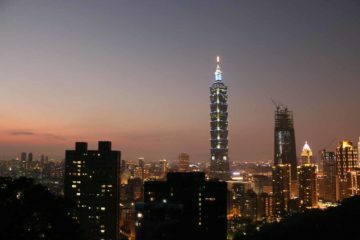 If we were coming from the other direction along the National Expressway 3 along the southern outskirts of Taipei, then we’d exit at the Huanhe Road (環河路 [Huánhé Lù]) exit turning right onto Huanhe Road itself and driving for another 1.5km before turning left onto the 北100 Road then shortly thereafter turning right to go south on the Tai-9. 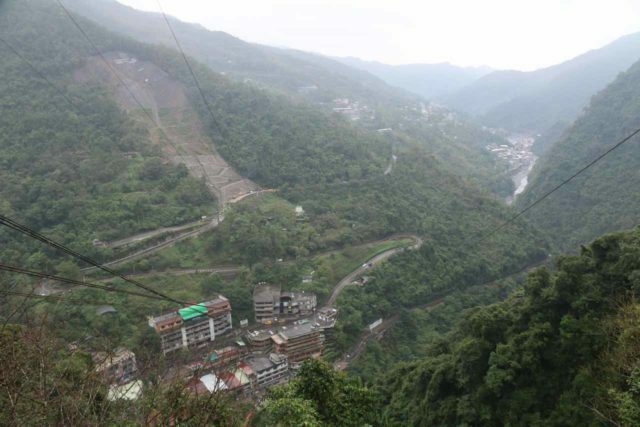 From there, we’d follow the directions as above to get all the way to Wulai. 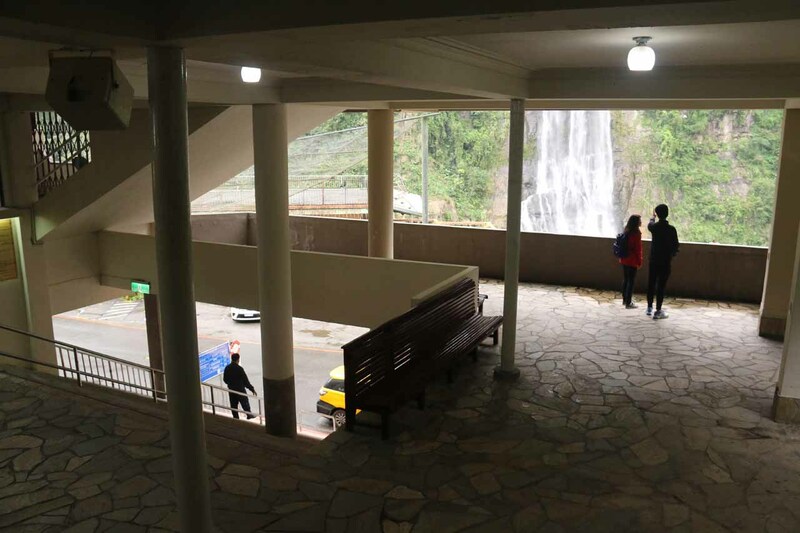 Finally, while we didn’t exercise this option (though we might do this next time if self-driving in the city wouldn’t be an option), it was possible to visit the Wulai Waterfall from Taipei by public transportation (especially since driving in Taipei may not be desired due to traffic congestion and parking). 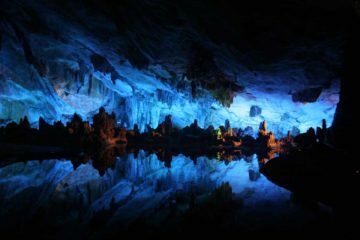 This would involve catching the MRT (Taiwan’s metro/subway system) to Xindian Station (新店站 [Xīndiàn zhàn]) then catching a bus the rest of the way to Wulai.